Horses can help people fix ANYTHING! Archie is not your average horse. He helps people get rid of their flies… you know, the things that bug us! When horses get flies, they swish their tails to make them go away, but since people don’t have tails, they come to Archie for help. 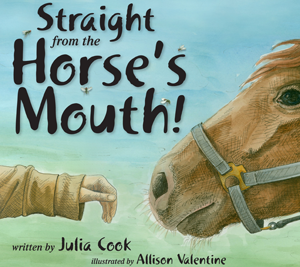 This creative book for all ages takes a look at how powerful using horses can be to help people heal on the inside.